Who is this challenge meant for? Individuals who are tired of the gym and want to try something different. For those that want to get fit but wanna do it from home. Those that are interested in the steel mace but don’t know where to start. Overall, for the warrior that wants to change their lives, get in shape, lose fat and gain some strength physically and mentally. 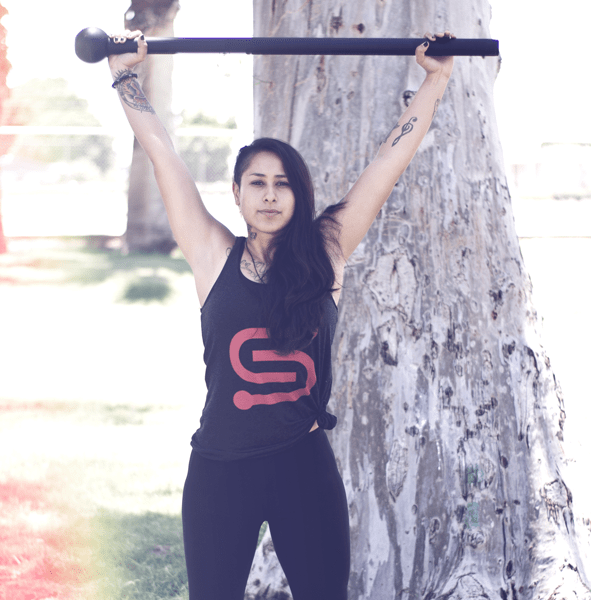 You’ll get a Steel Mace Workout sent straight to your email on a daily basis for 14 days. The email will include: Your workout for the day along with an accompanying video. 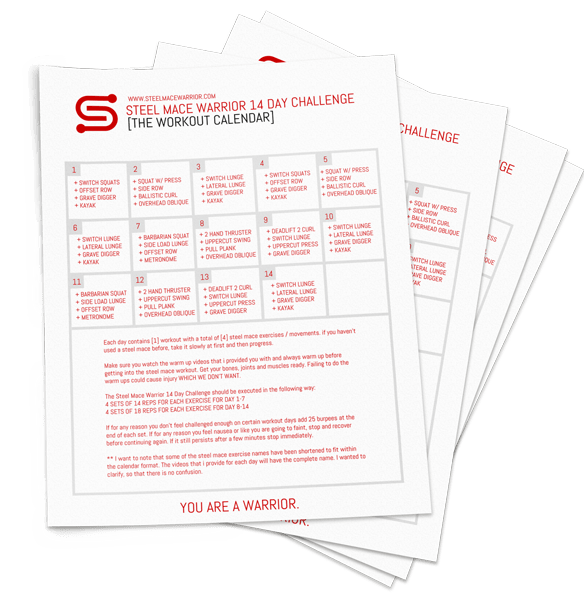 As an ADDED BONUS for signing up for the challenge I am going to send you a Steel Mace Warrior Calendar & Meal Plan to help you get better results from the 14 day program. We all know nutrition is key in getting great results. Access to an exclusive Facebook Group for the 14 Day Program Participants ONLY. No one else can get access to this Facebook group unless they have signed up. This is a great place to meet others on similar health journeys like yours. I encourage you to participate in this group. I will personally check in on you through the Facebook Group during your challenge to see if you need any help. I’ll be there to answer questions. I encourage you take advantage of it! 10 lb Steel Mace – Don’t have one? Buy one from Set for Set and use SMW10 on check out for an awesome 10% discount. It’s on me! A nice wide space to do your workout challenges. Preferably, away from children and dogs. An iPhone or Android phone with a timer. Comfortable clothing to use during workouts. You have to make time for the challenge. The workouts are anywhere between 15-25 minutes. 100% commitment and consistency is the way to true results. Let’s get this steel mace program going! shall we? If you’ve been looking for something to give you more energy. This might just be it! The Steel Mace is super great for building Strength. Count on that! Exercise in general reduces stress due to the release of those feel good hormones. 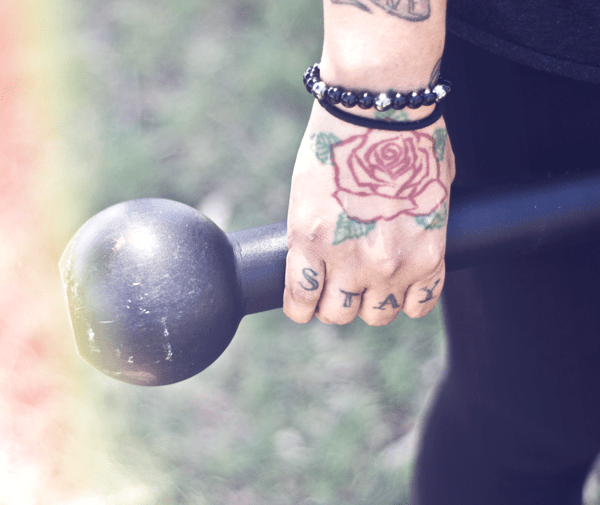 You will get awesome results from Steel Mace training, including losing weight. Haven’t been feeling very confident? I promise you will feel like a warrior by the time you reach Day 14. The Steel Mace will rock your body but it will activate your mind and spirit as well. I heard Steel Mace Training is hard, is it? The level of difficulty depends on your physical condition. Everyone is different. This program specifically could be easy or it could be very hard depending on how fit you are at an individual level. I haven’t worked out in a long time, is this program safe for me? Please make sure to consult with your physician before trying any new exercise routine. I advice you to do this first. Steel Mace Training is safe and has many benefits but if your doctor advises you not to do it, do not attempt. Is this Steel Mace Challenge really free? Yes! 100% Free. No strings attached. I made this program to help people around the world get back to moving their bodies. It’s important to move and the mace is fun! No gym needed. What weight of Steel Mace should i purchase? I suggest you start with a 10 lb if you are just starting and want to get results. If you’ve been training for a while you can go up to a 15LB. I know men can even handle a 20LB mace depending on their strength. Where can i buy a Steel Mace? You can buy one from Set for Set and get a 10% discount with my code: “SMW10”. Enter the code on checkout. You can also purchase a steel mace from Onnit. Both are really great companies with high quality steel maces. Wait, but who the heck are you? I am glad you asked! My name is Victoria Islas and I am from Yuma, Arizona. I have been training with the steel mace for a little over 2 years now. 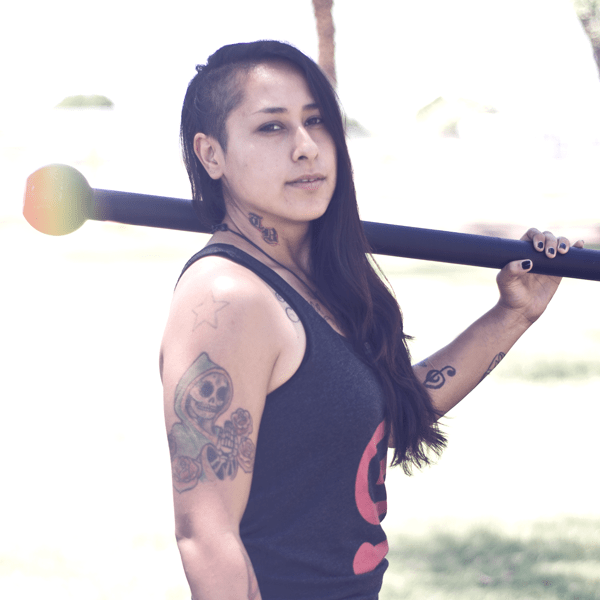 I am a Certified Personal Trainer and Certified Steel Mace Coach. My mission is to start a Steel Mace Movement along with many other coaches that I have personally enjoyed having conversations with through my Steel Mace podcast at www.steelmacewarrior.com. I want people to know all about the mace and I want them to train with it! It’s as simple as that. Why? Because the mace will change your life! Yup, I believe in the mace that much. I am obsessed with it. It has way too many benefits to mention. I know this 14 Day program will rock your world. I literally made the program all by myself, from scratch and set everything up just to give people people a tool to start moving again. Please take advantage of it and share it with your friends and family. That’s what matters here. Move that body! Ready for the challenge? Let’s do this!